The European Union needs China, first and foremost, as an economic partner and, second, also for addressing international and regional crises. China uses its leverage and lobbies the European Union to stay out of the South China Sea dispute. As a result the European Union tries to avoid this issue, leaving the United States to fight on its own for freedom of navigation there. Will the United States be able to sway the European Union into supporting its position? China backs changes in global governance as a strategic objective. It is slowly reweaving the international fabric of interrelations and governing structures. In contrast, the European Union behaves as if geopolitics and power politics no longer exist. It often prefers to see Chinese actions as benign, which breeds complacency. Robert Kagan famously compared Europe to Venus and the United States to Mars. But, as Robert Cooper wrote in 2003, “Most of the rest of the world lives in a modern world of states competing for power, or in a pre-modern world of failed states.”1 To paraphrase Tolstoy, Europe’s postmodern approach leads some to declare that they are not interested in geopolitics—but geopolitics is always interested in them. A powerful visual on how the European Union and the United States are not always on the same page can be found in a video of the keynote address by Gunnar Wiegand, the European Union’s managing director for the Asia-Pacific for the European External Action Service (EEAS) made at the Center for Strategic and International Studies (CSIS) on February 18, 2016. Somewhat ironically, the event was held to highlight the results of a two-year study project funded by the EU delegation in Washington, DC on strengthening EU-US Cooperation in the Asia-Pacific.2 After the usual exchange of pleasantries, Wiegand declared that the “European Union does not do geopolitics.” To emphasize his point he raised his hand in a gesture of stop, surprising the audience. What happened to this EU-funded project on EU-US approaches to Asia: Lack of communication? The establishment of the China-led Asia Infrastructure Investment Bank (AIIB) the previous year? A change in the strategic landscape? The introduction of China’s Belt and Road initiative two years prior to Wiegand’s surprise statement? China is a very important economic partner both for the United States and for the European Union. For the European Union, China is possibly even more important, as it is perceived as both a trade partner and a source of investment with the potential to stimulate the sagging European economy. In regard to trade, China is now the European Union’s second trading partner behind the United States, while the European Union is China’s biggest trading partner. In 2015, according to EU figures, imports from China amounted to EUR 350.4 billion and exports to China to EUR 170.5 billion, with a sizeable EU trade deficit of EUR 179.9 billion. China exports to the European Union not only low-cost manufactured goods but also, increasingly, high-end products such as telecommunications equipment. The European Union finds in China a vital outlet for its quality, manufactured products, including motor vehicles, agricultural products and luxury goods. In November 2013, both announced the launch of negotiations of a comprehensive EU-China Investment Agreement, which would provide for progressive liberalization of investment and the elimination of restrictions for investors to each other’s market. Negotiations are ongoing. Despite this mutually beneficial trade relationship, one issue that has caused friction between the European Union and China is China’s Market Economy Status (MES). MES affects the way that anti-dumping duties are calculated. Such duties typically affect steel and other metals, glass, and chemical products. In these fields there is global overcapacity, and industries in EU producer countries are keen on protection from cheap Chinese imports. Thousands of jobs are at stake. If an exporting country is considered a market economy, the extent of dumping and the relevant duties are calculated based on actual prices in the country in question. If the exporting country is considered a non-market economy, calculations are made based on prices in a similar country where market conditions are deemed to prevail. Recent studies have shown that anti-dumping duties against non-market economies are on average 13 percent higher than against market economies. When China joined the World Trade Organization (WTO) on December 11, 2001, the terms of accession included a provision for MES. However, the legal meaning of this provision is disputed. Until a year ago, it seemed clear to all that WTO members should grant China MES at the latest 15 years after China’s accession, i.e., by this date in 2016. Subsequently, some international lawyers have put forward a different interpretation that would allow WTO members to consider China a non-market economy even after that date. The United States supports this interpretation, as do many EU member states and the European Parliament, which, in May 2016, adopted a resolution against granting China MES. Based on its own legal analysis, the EU executive branch, the European Commission, seems inclined to grant China MES, with the support of a majority of EU member states including Germany. The announcement would be made at the July 2016 EU-China Summit, but would be accompanied by new measures to afford stronger protection to EU industries as needed. China already announced that it would take to the WTO dispute settlement body any WTO member that refused to grant it MES by mid-December. Since all other WTO members have already granted China MES, if the European Union also granted China MES the United States would be left alone facing legal action by China. In this case, Washington would probably express its disappointment to the European Union, but would be unlikely to take any punitive measure against it in the field of trade, including Transatlantic Trade and Investment Partnership (TTIP), or in any other area of EU-US cooperation. The People’s Republic of China (PRC) sees Europe as a useful source of advanced technology even though an arms embargo is in place. EU member states interpret the arms embargo in their unique way, which allows for sales of security and dual-use technologies the People’s Liberation Army (PLA) cannot obtain from the United States.The Stockholm International Peace Research Institute (SIPRI) database with information on the transfer of dual-technology from Europe to China indicates that, “Beijing regularly praises the European Union for being China’s largest source of technology imports.”3 SIPRI’s website details how many of the PRC’s most advanced warships were supplied by French- and German-designed diesel engines. French companies supplied Chinese destroyers with sonar, surface-to-air missiles, and anti-submarine warfare helicopters. Not to be outdone by its continental neighbors, Britain supplied jet engines for the PLA anti-ship aircraft and fighter-bombers as well as early warning radars for China’s newest surveillance aircraft. Pan-European aerospace and defense major European Aeronautic Defense and Space Company sold the PRC the designs for its Eurocopter, which were used in some of its leading attack and transport helicopters. One of the most significant strategic prizes of China’s European technology shopping spree was the purchase of diesel engines from MTU Friedrichshafen GmbH based in Germany. According to SIPRI data, by the end of 2012, 56 MTU-designed diesel engines have been sold to China. These state-of-the-art engines have helped the People’s Liberation Army Navy (PLAN) create a modern and super-silent submarine force. Beijing has deep pockets and European companies are looking for profits, especially in an environment of austerity and steep budget cuts. Chinese investment in Europe has ramped up. According to the Rhodium Group, between 2000 and 2014 Chinese companies spent USD 52 billion on direct investments in the 28 member states of the European Union. Investment increased after the sovereign debt crisis when assets could be bought at reduced prices, whereas investment in China proportionately decreased, reversing the previous net flow of foreign direct investment (FDI) from Europe to China. 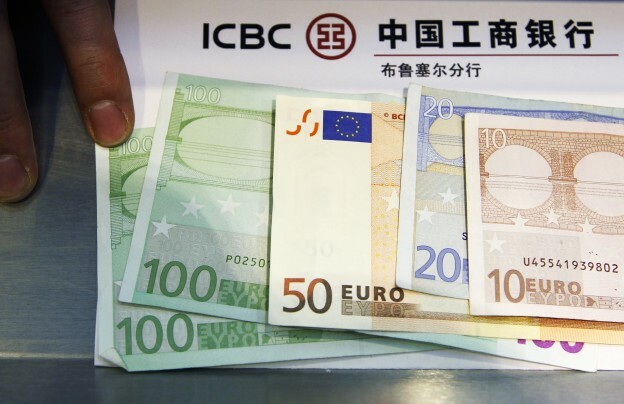 The largest beneficiaries of Chinese FDI were Europe’s “Big-3” countries: United Kingdom with USD 13.8 billion; Germany with USD 7.8 billion, and France with USD 6.7 billion. Italy was boosted to the top in China’s FDI in 2015 with the sale of Pirelli to ChemChina. Competition between EU member states to attract Chinese FDI may give Beijing increased influence and leverage. China also invested heavily in strategic infrastructure in countries at the EU periphery, such as Greece. “Most Chinese foreign direct investments are not normal foreign direct investments,” said Philippe Le Corre, co-author of China’s Offensive in Europe.4“With a few exceptions, they just happen to have the whole Chinese state behind them.” In pursuit of the economic growth they desperately need, EU countries are willing to allow Chinese investment in a broad range of sectors and become complacent about it. For instance, Chinese corporations are now investing in transport and telecommunications infrastructure, as well as in information technology and in other strategic sectors of the economy. Neither the European Union nor its “Big-3” have an investment vetting mechanism akin to the Committee on Foreign Investment in the United States (CFIUS) to weigh economic opportunities against national security concerns. Twelve member states (Austria, Finland, Poland, Germany, France, Portugal, Denmark, Italy, United Kingdom, Spain, Lithuania, and Slovenia) do have screening processes for potential threats to national security or public policy; however enforcement differs by country. The European Union and its member states are also interested in participating in China’s “One Belt One Road” (OBOR), which promises new infrastructure connections between China and Europe, supported by a USD 40 billion Silk Road Fund and by a new AIIB. The United Kingdom, France, Germany, and Italy decided to join the bank in March 2015. Despite US opposition, 14 of the 28 EU member states joined. Some, including the United Kingdom, did not even inform the United States before taking the decision to join. There was no coordination at the EU level about individual member states joining. China often plays one EU member state against the other to influence EU policy. The United States had to accept defeat on the issue of European participation in the AIIB. In March 2015, China issued an official OBOR action plan, which sets out the goals of a “balanced regional economic cooperation architecture” and “new models of international cooperation and global governance.” Chinese officials present OBOR as a “platform” that brings together government, business, and other leaders from China and from its partner countries to discuss issues of common interest, in particular the construction of new infrastructure in the fields of transport, energy, and telecommunications in connection with the OBOR action plan. This would be a new form of international cooperation and a model of global governance under Chinese leadership. It would be a way for the Chinese authorities to promote their views and interests across the Eurasian landmass and beyond. That said, it is unlikely that China will try to establish permanent institutions for the implementation of OBOR itself, as one of the main characteristics of this initiative is its flexibility. It will want to pursue a pragmatic approach and to adapt to the particular situation of each country and region, through bilateral and regional OBOR high-level meetings and forums, which will sometimes be combined with pre-existing formal and informal mechanisms as needed. The AIIB and the Silk Road Fund will be only two of the tools that China will use to implement this initiative and may well be accompanied by other tools to be established as needed. Through OBOR, China aims at creating political goodwill among its partners along the transport corridors. Infrastructure investment is a well-tested method. For several decades now, China’s investment in the African continent has been rewarded with support for China at the United Nations Security Council (UNSC) or General Assembly. More recently, investment in Afghanistan led to this country supporting the Chinese position on the South China Sea. In Europe, China has focused on plans for infrastructure investment, in particular in the European Union’s eastern member states on the receiving line of the Belt and Road from the east. Already in 2011, China launched a new forum for cooperation with Central and East European (CEE) countries: the 16 + 1. This includes 11 EU countries (Bulgaria, Croatia, Czech Republic, Estonia, Hungary, Latvia, Lithuania, Poland, Romania, Slovakia, Slovenia) and 5 EU candidate countries (Albania, Bosnia and Herzegovina, FYROM [Macedonia], Montenegro, and Serbia). Although vastly different culturally, linguistically, and in religion, these countries are united in their quest for Chinese investment. They are also all former communist states and thus share some common historical experience with China. China is careful to explain that the 16 + 1 does not supplant but rather supplements EU–China relations. However, the 11 countries that are also members of the European Union can easily form a pro-China lobby and, therefore, influence policy making in Brussels. As secretary of defense in 2003, Donald Rumsfeld remarked on ‘‘old and new Europe.’’ He maintained that “New Europe” was largely made up of the new EU member states from Eastern Europe that were formerly in the Soviet sphere of influence and traditionally supported the United States. “New Europe” backed US actions during the Iraq campaign. By contrast, Rumsfeld viewed the behavior of “Old Europe”—turning to China to counterbalance the United States because of its actions in Iraq—in a less favorable light. China’s investments and increasing influence in the CEE may, in the longer term, help to undermine the ties to a region long seen as supportive of US policies. China’s promise of multi-billion dollar investment deals, infrastructure development, railways, and increased win-win trade with China is also eroding Europe’s ability to speak “with one voice” on issues related to the PRC. Will the European Union be able to craft a statement after the Arbitration Tribunal delivers its decision on the Philippines vs. China? Does this make it less likely that the European Union and United States will make a joint statement on the ruling, eliminating an important opportunity to magnify the weight of their statement? Beijing’s carefully choreographed visits to Central and Eastern Europe by Xi Jinping himself this year—first to the Czech Republic in May, then to Belgrade and Warsaw in June—highlight the PRC’s strategy of checkbook diplomacy under the guise of the Belt and Road Initiative. China’s economic statecraft may just buy it a weak statement from the European Union without even mentioning the PRC. With 28 member states, all you need is one in your camp to disavow the other 27. The PRC has clearly signaled that it considers the territorial disputes in its neighborhood bilateral, not multilateral, ones. It has warned the European Union not to meddle in this issue. China’s May 2014 white paper after Xi Jinping’s visit to Brussels clearly reflects this. Beijing has declared that it will not abide by the ruling of an arbitral tribunal under the Permanent Court of Arbitration in The Hague on the case brought by the Philippines about the disputed sovereignty over Scarborough Shoal—a ruling expected soon. It has worked behind the scenes to discredit the tribunal and has also made efforts to shore up support from countries around the world. Countries as diverse as Poland, India, and Fiji have indicated that the PRC’s official news agency, Xinhua, has misrepresented their respective positions on the tribunal. In the process, China has paradoxically magnified the international dimension of the dispute by using carrots and sticks to encourage countries to support its proposed bilateral approach, rather than the application of the rule of law under the United Nations Convention on the Law of the Sea (UNCLOS). In the past, the European Union has carefully danced around the complex issues involved in the South China Sea disputes. It has no interest in antagonizing China, needing it as an economic and security partner, given problems of its own, both internally (migration, terrorism, economic imbalances) and externally along its southern and eastern neighborhood. The European Union’s unwillingness to take China to task was clearly shown in the statement made by EU high representative Catherine Ashton in November 2013, when the PRC unilaterally imposed an Air Defense Identification Zone (ADIZ) over disputed waters in the East China Sea. At that time, the European Union called “upon all parties to take steps to calm the situation,” even though the source of the crisis was clearly a measure taken by China. This watered down statement designed not to upset the PRC had the unintended consequence of angering both Japan and South Korea. In May 2015, the new EU high representative, Federica Mogherini, spoke at the Shangri-La Dialogue and did not mention the South China Sea issue directly, although she did refer to “some maritime disputes” that were “far from being settled” and called for a “maritime order based on international law.” Some felt she was tone-deaf when she highlighted in this context the near-token cooperation between the European Union, China, Japan, and the Republic of Korea in the fight against piracy in the Horn of Africa and suggested that it could be expanded. In 2015, there were no reported pirate attacks in the Horn of Africa. The prospect, therefore, of EU cooperation with China in security and defense puzzled and disconcerted some Asian participants. The joint statements of all past EU-China summits mention crisis hotspots where the European Union and China could cooperate (for instance Ukraine, Syria, and Libya) but studiously avoid mentioning the South China Sea because of China’s opposition. Mogherini spoke at the United Nations Security Council on June 6, 2016 and listed several hotspots, including Colombia, but omitted the South China Sea.6 Nevertheless, the European Union, based on the rule of law, needs to uphold the principles of international law or lose credibility. It depends on its relationship with the United States and wishes to have good relations with Japan, a major trade and economic power, as well as with the fast-growing economies of Southeast Asia. Unlike the United States, the European Union is a party to UNCLOS. Yet, fears of upsetting China according to some diplomats prevented it from sending an observer to the Arbitration Tribunal hearings in The Hague. Diplomats who attended the hearing privately reported a sense of shock that the European Union chose not to send an observer. The PRC’s efforts to discredit the Arbitration Tribunal, coupled with the European Union’s professed support for the rule of law would have made attendance by an EU observer a significant symbol of support for the arbitration process. Instead, a Brussels official stated that it preferred to see what the final outcome of the Arbitration Tribunal was, rather than send an observer. This hedging approach allowed room to maneuver until a decision was made, but it did not win the European Union points from ASEAN countries that sent observers to the Arbitration Tribunal hearings or from the United States. Perhaps, in response to the EU absence from the Arbitration Tribunal hearings, as well as to lobbying by partners, Brussels issued a statement on March 11, 2016, taking a public stance in support of the principles of international law in the South China Sea. This short statement took months to write, as 28 member states had to agree on the language. The statement was criticized because “it called out no parties, offered no facts and, far from exerting the diplomatic pressure presumably intended, simply sounded naïve by looking ‘forward to a swift conclusion of the talks on a Code of Conduct.’”9 Despite its limits, the statement irritated Beijing and demonstrated the limits of China’s checkbook diplomacy. After the judgment of the Arbitration Tribunal is announced, the European Union is expected to make a new statement, one which will once again uphold the principles of international law while being careful not to criticize China directly. When the 28 EU members speak with one voice on an international issue, their message has significant weight and reinforces international legal norms when they are violated. It is likely that the United States will ask the European Union to join it in a joint statement in order to magnify the impact. So far, the European Union has been quite happy to leave the burden of maintaining security and stability in Asia to it, benefiting from the US naval presence and from open sea-lanes of communication in the South China Sea. It is as if the Old World had "outsourced" its security to the United States. Nevertheless, in a new development, on June 5, 2016 during the Shangri-La Dialogue French Defense Minister Jean-Yves Le Drian stated that France would encourage the European Union to undertake “regular and visible” patrols in the area. French ships and airplanes have already experienced unwanted encounters with Chinese forces in the South China Sea while en route to French bases in the Pacific. Le Drian justified France’s concern over this issue by suggesting that the erosion of freedom of navigation in the South China Sea could set a dangerous precedent for the Arctic and the Mediterranean. He added that “several times per year, French navy ships cross the waters of this region, and they’ll continue to do it.” This language closely echoes that used by Secretary of Defense Ashton Carter, who has regularly insisted that the US Navy would continue to navigate freely through the South China Sea. The United States is concerned about China’s emergence as a rival geopolitical power in the region and has taken steps to contain it together with China’s Southeast Asian neighbors. The US position on the South China Sea is steeped in international law—even though the United States signed but never ratified UNCLOS. Measures taken include naval and aerial patrols to enforce freedom of navigation in areas claimed by China as well as joint military exercises. President Obama’s interview in The Atlantic in April 2016 criticized Europe’s free riding as the European Union does not share in the burden of political or economic costs.11 Lack of substantial action by European partners in Asia will be difficult to camouflage. Many US officials and analysts despair that most European countries have a one-dimensional approach to China policy based on economics, exports, and enduring business opportunities. Will the US Be Able to Sway the EU into Supporting Its Position? Although some in the European Union claim that they do not do geopolitics, not all officials in Brussels have the same approach. What is crucial is for the United States and the European Union to see how things really are between these two powers rather than how we would like them to be. A frank assessment of the relationship is required in order to prevent magical thinking or complacency. The United States retains great influence in Europe and is the European Union’s most important strategic partner. In the past, it has shown that it can lobby the European Union effectively, for instance in the case of the EU Arms Embargo against China (2005) and more recently in that of EU sanctions against Russia. On balance, if the European Union had to choose a camp after the announcement of the ruling of the Arbitration Tribunal, it is likely that it would either not have any position at all, with each member state choosing its own camp, or that the European Union would align with the United States. The French statement confirms that at least some EU member states are likely to take a position similar to that of the United States. If China chooses to disregard the verdict of the Arbitration Tribunal, the United States has indicated that there would be a price to be paid, most likely in sanctions against China. In this case, it is likely that the European Union would choose, albeit unwillingly, to join and impose its own sanctions, as in the case of Russia. 1. Robert Cooper, The Breaking of Nations: Order and Chaos in the Twenty-First Century (London: Atlantic Books, 2003). 2. “Strengthening EU-US Cooperation in the Asia-Pacific Region” (keynote address, second conference of CSIS’s EU-US Dialogue for the Asia-Pacific Region (EUDAP) initiative, February 18, 2016), https://www.youtube.com/watch?v=YkRSrJGXpx0. 3. Oliver Brauner, ‘‘EU and China’s Tech Rise,’’ The Diplomat, July 26, 2011, http://thediplomat.com/2011/07/eu-and- chinas-tech-rise/. 4. Philippe Le Corre and Alain Sepulchre, China’s Offensive in Europe (Brookings Institution Press, 2016), http://www.brookings.edu/research/books/2016/chinas-offensive-in-europe. 5. European Commission, “Joint Communication of the European Commission and of the High Representative of the Union for Foreign Affairs and Security Policy of June 22, 2016 on ‘Elements for a New EU Strategy on China,’” JOIN (2016), 30 final, June 22, 2016, 11. 6. European Union Delegation to the United States, “At UN Security Council, HR/VP Mogherini Stresses Importance of International Cooperation,” June 6, 2016, http://eu-un.europa.eu/at-un-hrvp-mogherini-stresses-importance-of-international-cooperation/. 7. US Department of State, “US-EU Statement on the Asia-Pacific Region,” July 12, 2012, http://www.state.gov/r/pa/prs/ps/2012/07/194896.htm. 8. “G7 Foreign Ministers’ Statement on Maritime Security” (Hiroshima, April 11, 2016). 9. Sarah Raine, “A Road Map to Strategic Relevance: EU Security-Policy Options in Southeast Asia,” International Institute for Strategic Studies, June 3, 2016. 10. “Joint Communication of the European Commission and of the High Representative,” 11. 11. Jeffrey Goldberg, “The Obama Doctrine,” The Atlantic, April 2016, http://www.theatlantic.com/magazine/archive/2016/04/the-obama-doctrine/471525/. Wow, this is great analysis.